PP has over 50 years experience working with a wide range of customers in a diverse range of industries that can add significant value to your specific contract manufacturing requirements. We can assist in every stage from early design concepts, design for manufacture and assembly, supply chain design & optimisation, product standardisation, design approval processes, build, test and logistics – a complete “end to end” contract manufacturing solution that fits your very specific needs. Too many times companies allow a product design that engineers in unnecessary cost, creates a cumbersome supply chain and poor efficiency of build. Such companies then spend time and energy, post design, attempting to reduce costs… but often it is too little, too late. With PP’s expert hand managing the supply chain, these risks can be eliminated. Early engagement in the design process is our specialty – working with our partners’ engineering, production and purchasing teams collectively, with a common goal that will deliver the optimum result. Beyond the design process, we further engage with our technical and engineering partners and promote their capabilities, further enhancing their ability to innovate and focus on what they do best. 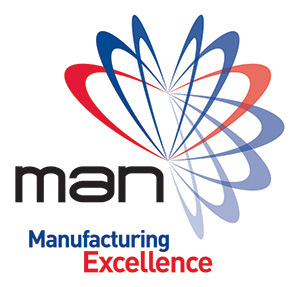 PP are proud members of the MAN Group (Manufacturing Assembly Network). The MAN Group is a network of manufacturing companies designed to share technical excellence in mechanical, electrical and electronic engineering processes. The group provides a non-competitive environment where member companies share best practice and creates a more stable solution for complex, multi-discipline engineering projects.